Wood Modern Handmade Table Lamp Edison Style Geometric Wood Block Pink. Perfect gift! 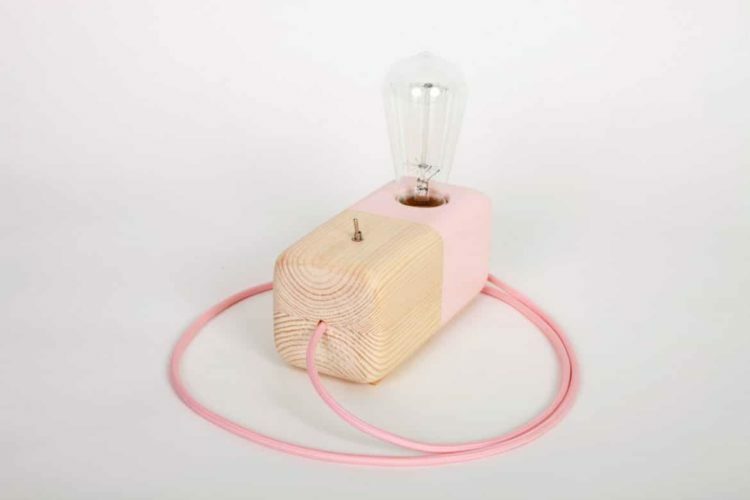 Handcrafted wood block half painted Pink with a metallic switch on/off. Industrial style for every house!! The lamp has pink fabric cable to match with the paint.